To unite our country and honor the sacrifice of veterans by placing flags at your local cemetery. Join our mission days leading up to Memorial Day to place Flags on Veterans Graves in cemeteries across our nation. 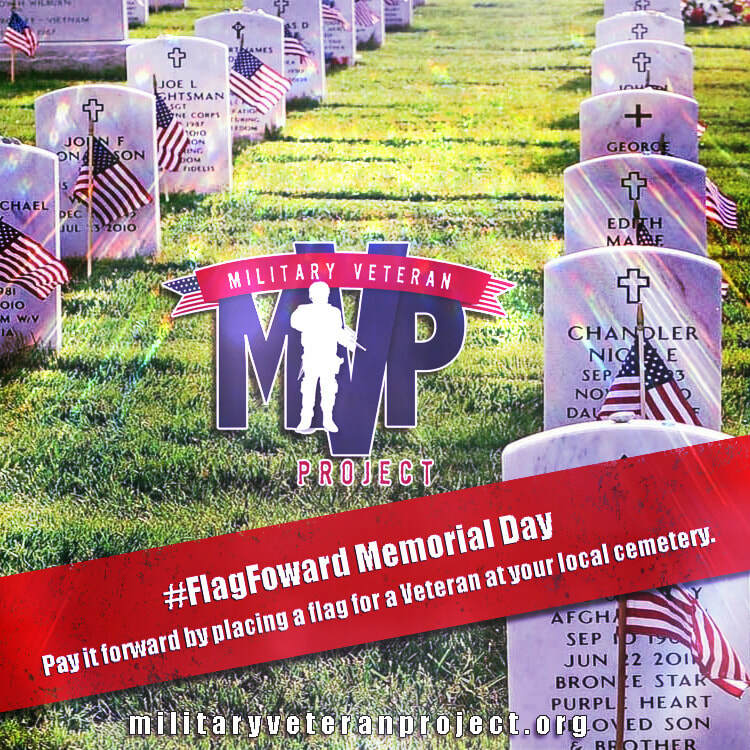 Get involved by volunteering, gathering a group in your area, get flags and select a cemetery to honor the fallen. Click below to create an event in your area by adding the Military Veteran Project as co-host to unite your community to pay tribute to the men and women who have served our country. How do I get the flags? ​"Every year my family visits my father who died in WWII at our hometown cemetery, we saw other veterans graves that were left bare for Memorial Day. We decided to join the Flags Forward movement not to only our military hero but all the heroes who have served our country."